Rochester’s first win of the season will be the franchise’s 200th. Calgary needs three for 150. Buffalo needs three away wins to give them 100 in franchise history. Toronto’s next win at the ACC will be their 100th home victory. The Vancouver Stealth will break into double digits in the “away win” category with their first win on the road. That’s right, after four full seasons in Vancouver the Stealth have only won 9 games on the road. Total. Buffalo is 63 goals away from becoming the first NLL team to score 5000 goals. They are already 500 goals ahead of anyone else (Wings) and 700 ahead of any active team (Knighthawks). On the other end of the spectrum, Saskatchewan needs 36 goals to reach 500. Colorado needs 3 at home to hit 1500, and 42 on the road to hit 1500. This also means that they need 45 total to hit 3000. If they give up 103, they’ll hit 3000 goals allowed. Dane Dobbie will take over the all-time Roughnecks lead in points from Jeff Shattler with his 18th of the year. Stephan Leblanc could pass Josh Sanderson for 3rd on the Rock’s points list with 77 points. 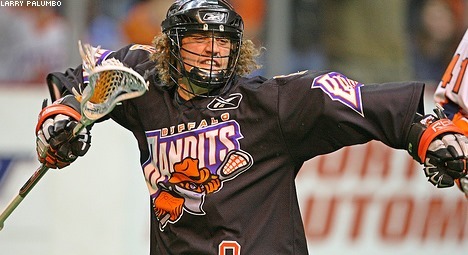 Dhane Smith needs 22 goals to tie Mike Accursi for 3rd all-time in Bandits goals. Small sidetrack: I’ve talked about John Tavares and his amazing numbers a million times here, and I’m going to do it again. After only five seasons, Dhane Smith is already third on the Bandits points list, but he’s 542 behind the still-active Mark Steenhuis, who’s 779 behind John Tavares. Steenhuis is second in Bandits goals but needs 371 to catch JT. To illustrate just how far behind that is, only 14 players have ever scored more than 371 goals in their career, and Shawn Evans isn’t one of them. In order to break JT’s record, Steenhuis would have to score as many goals as Shawn Evans ever has – starting now – and he’d still be short by 3. Other combinations of players who don’t add up to Tavares’s goal total: Dan Dawson & Rhys Duch, Josh Sanderson & Ryan Benesch, and Paul Gait & Tom Marechek. In case there was any doubt before now (and there wasn’t), Tavares’s records will stand for a long time. OK, back to the milestones for 2018. This section is for players who are close to passing a retired player on the career list in a particular category. Brodie Merrill will break Jim Veltman’s career loose ball total of 2417 early in the 2018 season. I predicted this back in 2011, though you’ll notice I assumed Merrill would play in all 16 (not 18) of his team’s games every year, and I did not foresee Geoff Snider’s retirement. When people talk about athletes and how great they are or were, one statistic that almost always comes up is how many Championships they won. I have always fundamentally disagreed with this as a measure of how good a player is. While this is obviously a great measure of success for a golfer or tennis player, it doesn’t always work so well for team sports. If you’ve played your whole career on crappy teams, like Marcel Dionne, or on great teams that just never won that final game, like Dan Marino, the lack of Championships is not a reflection of your abilities or talent. We are, after all, talking about team sports. Similarly, I don’t know who the worst player on the 2001 Wings or 2009 Roughnecks was, but that player has won more Championships that anyone listed here. The measure of “Championships won” is perhaps slightly different in the National Lacrosse League, only because of the size of the league. The title goes to one of 32 teams in the NFL and one of 30 teams in the NHL, NBA, and MLB. The NLL only has nine. Given that plus the parity in the league, your odds are a little better if you play in the NLL. Here are a bunch of players, some retired and some still active, who have played a significant amount of time in the NLL and have seen success but have never hoisted the Champion’s Cup. These are in alphabetical order. Benesch leads this list in career points, 78 ahead of his Swarm teammate Callum Crawford. Beni spent time with the Rock during their lean years, the Rush before they were good, then the Swarm. He has been one of the top producers on the Bandits for the past three years and got to the Championship game in 2016. 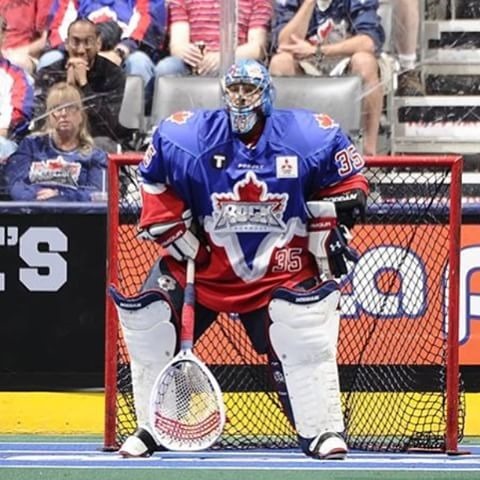 Crawford bounced around at the beginning of his career, spending his first four seasons in the league with four different teams before catching on with the Minnesota Swarm in 2010. But if you’re looking for Championships, the Swarm hasn’t yet been the place to be. Crawford was the top scorer on the team for four of his six seasons in Minnesota and then had a career year with the Mammoth in 2016. He is now one of the three holders of the single-season assists record (83) but has never been to the finals. Another guy who spent time on the Swarm, the Culprit also played with the Saints, the Sting (the only year they missed the playoffs), and the Mammoth (when they were 0-8 at home and 4-12 overall) before spending six seasons with the Bandits. Culp headed to the Championship game along with Benesch last season. Culp leads this list in games played among non-goaltenders. Malawsky is tied with Casey Powell (below) with the most trips to the finals without ever having won. He reached the championship game with the Knighthawks in 2003, the Sting in 2007, and the LumberJax in 2008, and in all three trips he was beaten by a franchise he used to play for. Harsh. Brother Patrick has two rings with the Rock, and he’s been to the dance twice, with the LumberJax in 2008 and the Rock in 2015. Probably nobody on this list has accomplished as much in his lacrosse career as Brodie Merrill has. Actually, very few lacrosse players on any list have accomplished as much as Brodie Merrill has, except in terms of NLL Championships. Miller has also been to the finals twice, once early in his career and once late. He was with the Albany Attack in 2002 (his second season) when they lost to the Rock, but didn’t actually play in the game. Then after thirteen seasons with stops in San Jose, Chicago, and Philadelphia, Miller finally returned to the Championship series with the Rock in 2015 only to lose to the Rush. Miller leads this list in games played although as a goalie, he gets credit for a game played even if he’s the backup and never touches the floor. It’s difficult to know how often that’s happened. 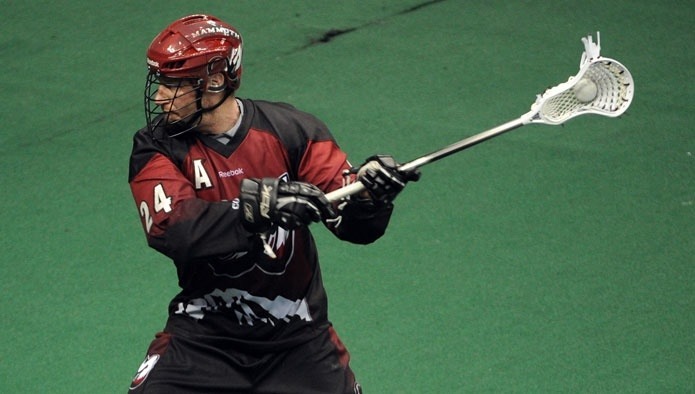 Yet another player who spent a lot of time (seven years) with the Swarm, Pollock also spent 3½ seasons with the Mammoth and finished his career with the Roughnecks, where he went to the division finals against the Rush in 2015. Poulin learned from two of the best, backing up Bob Watson in Toronto and Anthony Cosmo in Boston before heading to Calgary and grabbing the #1 spot for himself. The Roughnecks went to the finals in 2014 but lost a heartbreaker by a single goal in the first-ever Championship tiebreaker game. Poulin is now the starter for the Georgia Swarm and is hoping to break the Swarm’s Championship-free streak. Update: Poulin won the Cup with the Georgia Swarm in 2017. Powell was close to winning the Championship with the Knighthawks three times. In his rookie year, 1999, Rochester went to the finals against the Rock but Toronto won their first-ever Championship. 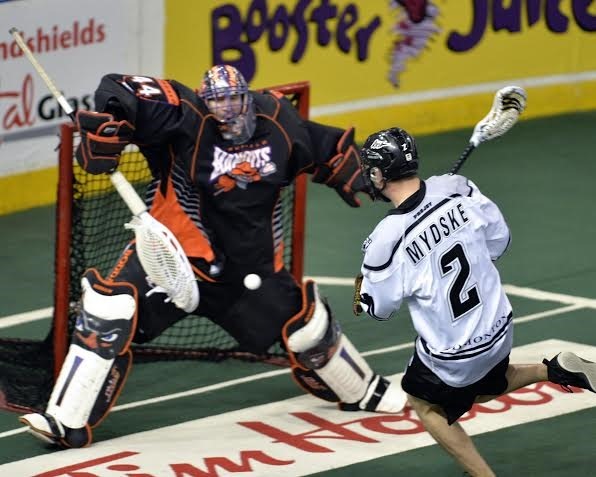 The next season, Kaleb Toth scored the most famous Championship goal in NLL history as the Rock defeated the Knighthawks again. Powell then played for the Anaheim Storm, New York and Orlando Titans, and Boston Blazers, reaching the Championship game again with the New York Titans in 2009. 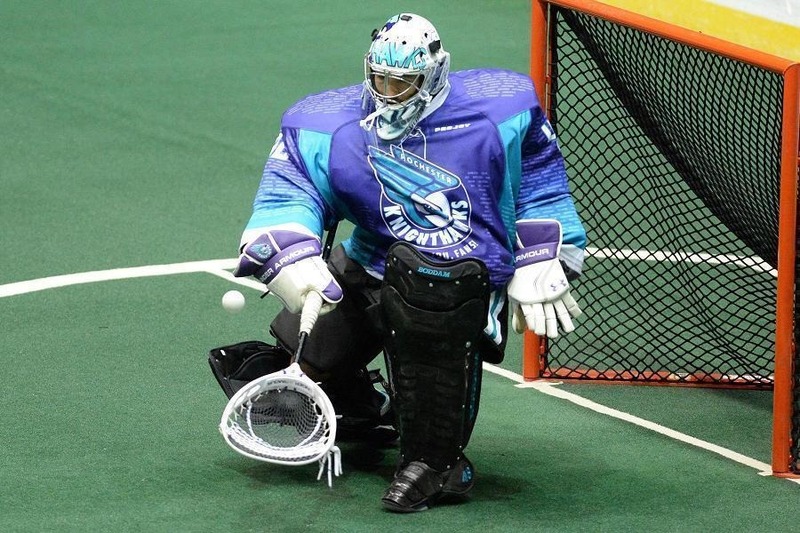 Then after taking 2012 off, Powell returned to the Knighthawks in 2013. Rochester won their second of three straight Championships that year but Powell had been traded to the Mammoth mid-season. Snider played four seasons with the Philadelphia Wings, where his only sniff of the playoffs was a single game in 2008. He did his part though, winning 28 of the 30 face-offs in that game. 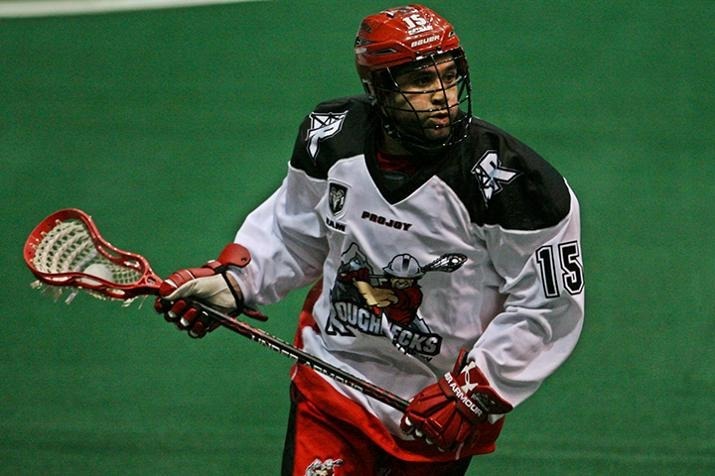 He had better playoff luck in his five seasons with the Roughnecks, where he played in ten playoffs games. But the 2014 loss to the Knighthawks was the only Championship appearance in Snider’s dominant but all-too-brief career. My realization that Snider never won a Championship was the inspiration for this list. Given the rest of this list, you’ll never guess where Ward played much of his career. Why yes, Philadelphia and Minnesota are correct! Ward played a season and a half in Philly before being traded to the Swarm, where he played another 4½ seasons. He joined the Rush in 2010 and went to the finals in 2012 but lost to the Knighthawks. Calgary needs 11 wins for 150, while Rochester needs 8 for 200. Buffalo needs six away wins to give them 100 in franchise history. Toronto needs five home wins to give them 100. Buffalo is 36 away from 2500 goals at home. Rochester needs 14 goals on the road to give them 2000, and needs to allow 55 on the road to have allowed 2000. John Grant needs 34 goals to reach 700 in his career, a figure only ever attained by one other player. And after those 34, he’d need another 115 to reach the lofty heights of Mr. John Tavares. Interesting that Greer and Jones, who were traded for each other this past off-season, can both reach 200 career goals. Greer only needs one while Jones needs six, but both could do it in game 1. Another interesting fact: James Earl Jones played Admiral Greer in The Hunt for Red October, Patriot Games, and Clear and Present Danger. Note that Evans hasn’t scored less than 105 points in a season since 2012. For me, it’s hard to think of Ryan Benesch as being all that high on the career points milestone list, since I still think of him as a young kid. Well, maybe not that young, he’s been around for a while. OK, more than a while. 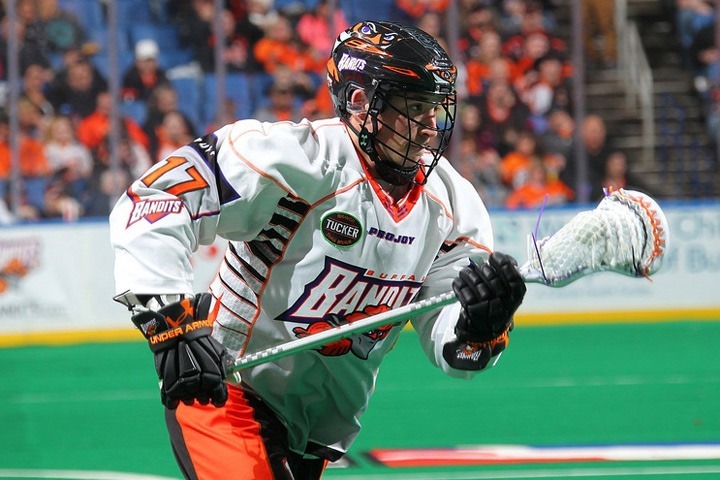 Turns out the 31-year-old Benesch is entering his eleventh NLL season. Only 15 players have scored more career points than Beni, and he’ll likely pass four of them in 2017. In the “not bloody likely” category, Derek Keenan needs six points to reach 100 for his career. He’s actually needed those six points for a number of years now. This section is for players who are close to passing a retired player on the career list in a particular category. First overall in goals, assists, and points is likely safe for another year. It’s possible the targets for Mr. Grant are a little optimistic for 2017. A number of teams and players are edging close to various milestones in the 2016 season. Most of them are arbitrary – is 500 career goals significantly different from 499? No, but we humans seem to like nice round numbers. Others are less arbitrary, for example a player passing another player on the all-time scoring list. Here is a list of the milestones that could be reached during the upcoming season. All of these represent regular season numbers only. Buffalo needs 7 wins to reach 200, while Rochester needs 15. Colorado’s next loss will be their 100th, while Calgary needs 3. Toronto needs to win all 9 home games this year to hit 100 wins at home. Four different teams could hit 50 home losses: Calgary needs 1, Rochester 2, Colorado 6, and Toronto 7. Buffalo needs 40 goals to get to 4500, and Rochester needs 131 to reach 4000. Calgary and Toronto can both reach 3000 goals; Calgary needs 68 while Toronto needs 42. Colorado is only 4 goals against away from 2500. Mark Steenhuis (you’ll be reading that name a lot in this article) needs 4 goals to reach the 400 mark. Four players could reach 300 career goals: Ryan Benesch needs 10, Shawn Evans needs 20, Dane Dobbie needs 30, and Rhys Duch needs 35. Two players are sure to reach 200 goals and two more are possible. Curtis Dickson needs 2 to reach 200, while Stephen Leblanc needs 5. Cody Jamieson needs 36 and Garrett Billings needs 37. A bunch of players are within striking distance of 100 goals: Kevin Buchanan and Jordan MacIntosh are both 7 away, Johnny Powless is 10, Cory Conway is 14, Stephen Keogh is 15, and Dhane Smith is 17. Mark Steenhuis (there’s that name again) needs 36 assists to become only the 12th player in NLL history to reach the 500 plateau. Four players could reach 400: Ryan Benesch needs 13, Callum Crawford 32, Rhys Duch 42, and Garrett Billings needs 54. Another four could reach 300: Kasey Beirnes is 21 away, Chad Culp 31, and Cody Jamieson and Darryl Veltman both need 37. Defender Bill Greer only needs one assist to hit 100 for his career, while Cliff Smith and Sandy Chapman are 6 away from the century mark. Only one player has ever reached 1400 career points in the NLL (one guess who that is), and he’s also the only member of the 1500 club, the 1600 club, and the 1700 club. But three different players could hit 1400 this year: John Grant needs 34 points, Colin Doyle needs 61, and Josh Sanderson needs 85. Dan Dawson needs 78 points to reach 1200 while Mark Steenhuis (!) is 39 away from 900. Shawn Evans needs 11 to hit 800 points, Ryan Benesch needs 23 to get to 700, Callum Crawford needs 24 for 600, and Stephen Leblanc needs 45 to get to 500. At one point a few years ago, Jim Veltman’s career total of 2224 loosies seemed completely unbreakable. But this season, two players could easily join Veltman and John Tavares (2065) as the only members of the 2000 club, and one more good season from either of them could break the unbreakable record. Geoff Snider needs 143 loose balls to reach 2000 while Brodie Merrill needs 166. Snider has only finished with fewer than 143 once in his career, though that was last year. However, seeing as he’s currently without a team, Snider’s chances are hard to predict. Merrill didn’t reach 166 LBs in three of his last four seasons, but he blew that number away in his first six. Mark Steenhuis need 65 to reach 1300. Three players could hit 1100: John Grant needs 32, Josh Sanderson 34, and Scott Self 65. Shawn Evans is 75 away from an even 1000, and Jeff Shattler needs 78 to reach that mark. Colin Doyle is only 2 away from 900. Kyle Laverty hasn’t played in the NLL in three years and has been the career penalty minutes leader with 627 for at least that long. But not only could that lead vanish this year, Laverty could be in fourth place by the end of the season. Geoff Snider needs 18 minutes to reach the 600 minute mark, and 45 to reach Laverty’s record. Patrick Merrill needs 42 for 600, and 69 to take over the lead, while Billy Dee Smith is only 10 back of Merrill. These four players will still form the top four at the end of the season, but the ordering is anybody’s guess. At 257 games played, Josh Sanderson is currently tied with Shawn Williams for second on the all-time list, an amazing forty nine behind John Tavares’ 306. Colin Doyle is only a game behind Josh and Willy. Two players could hit 200 games played, and both are on the Toronto Rock: Patrick Merrill needs 12 while Billy Greer needs 14. Three other players will likely hit 100 this season: Stephen Leblanc and Brett Mydske will get there in their season debuts, while Scott Carnegie needs 6. Nick Rose is on that list as well, needing 10 games to reach 100, but that’s a little misleading since as a goalie, he seems to get credit for a game played even when he never leaves the bench. On the career points list, Mark Steenhuis (haven’t talked about him for a while) is 64 points away from 9th place overall, pushing Gavin Prout down to 10th. Steenhuis could even push himself into 8th place, needing 98 points to pass Lewis Ratcliff. Shawn Evans could also move up a few spots, needing 34 points to pass his new Black Wolves coach Tracey Kelusky for 13th place, 4 more to pass Mike Accursi, and 6 more after that to pass Blaine Manning. Bandits star Ryan Benesch is currently in 21st place overall, but with a 100-point season he could vault into 14th. Benny is only a point away from Ryan Ward, 2 away from Derek Malawsky, and 8 away from Pat Maddalena. Anthony Cosmo is on his way to a record-setting season. Coz should pass the 10000 minute mark early in the season, since he’s only 113 minutes away. He needs 392 minutes to pass Pat O’Toole and 553 to pass Bob Watson for first place on the all-time list. Matt Vinc needs 627 minutes to reach 8000. Mike Poulin needs 265 to get to 5000, and Aaron Bold needs 379 to reach 5000. Cosmo may not want to be at the top of this list, but with a career this long, it’s not unlikely. His 29th goal against this season will be his 1800th. Allowing 169 will push him past Bob Watson and 183 will pass Pat O’Toole. Since Cosmo gave up 191 in each of the last two seasons, this is certainly reachable. The all-time lead is likely safe for one more season, as Cosmo would have to give up 210 to pass Dallas Eliuk. Brandon Miller needs 22 to reach 1500, and Matt Vinc is 38 away from the same mark. Again, Cosmo is poised to set the all-time record. He needs 73 saves to pass Eliuk, 180 to pass O’Toole, and 187 to pass Watson for the overall lead in saves. Matt Vinc is 1001 behind Cosmo, which means that barring injuries, Vinc will become the all-time leader if his career continues two years after Cosmo retires. John Grant will be 41 when the season starts and is now the oldest player in the NLL. Josh Sanderson, Colin Doyle, and Anthony Cosmo (in that order) are next at 38. Grant is also now the active points leader at 1366 with Colin Doyle 27 behind him and Josh Sanderson 24 behind Doyle.